What is wrong with the Partition Key value? If you are trying to insert Partition Key and Row Key values as below image then very likely you will encounter DataServiceRequestException. 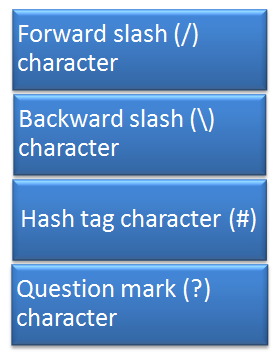 You cannot have below special characters as value of Partition Key and Row Key. Let us say you have a table called School and you are trying to insert entity in that table using below code.